First Hours of the GW170817 Kilonova: Why So Blue? Now that the hubbub of GW170817 — the first coincident detection of gravitational waves and an electromagnetic signature — has died down, scientists are left with the task of taking the spectrum-spanning observations and piecing them together into a coherent picture. Researcher Iair Arcavi examines one particular question: what caused the blue color in the early hours of the neutron-star merger? When the two neutron stars of GW170817 merged in August of last year, they produced not only gravitational waves, but a host of electromagnetic signatures. Chief among these was a flare of emission thought to be powered by the radioactive decay of heavy elements formed in the merger — a kilonova. The emission during a kilonova can come from a number of different sources — from the heavy-element-rich tidal tails of the disrupting neutron stars, or from fast, light polar jets, or from a wind or a disk outflow — and each of these components could reveal different information about the original neutron stars and the merger. It’s therefore important that we understand the sources of the emission that we observed in the GW170817 kilonova. In particular, we’d like to know where the early blue emission came from that was spotted in the first hours of the kilonova. To explore this question, Iair Arcavi (Einstein Fellow at University of California, Santa Barbara and Las Cumbres Observatory) compiled infrared through ultraviolet observations of the GW170817 kilonova from nearly 20 different telescopes. To try to distinguish between possible sources, Arcavi then compared the resulting combined light curves to a variety of models. Arcavi found that the light curves for the GW170817 kilonova indicate an initial ~24-hour rise of emission. This rise is best matched by models in which the emission is produced by radioactive decay of ejecta with lots of heavier elements (likely from tidal tails). The subsequent decline of the emission, however, is fit as well or better by models that include lighter, faster outflows, or additional emission due to shock-heating from a wind or a cocoon surrounding a jet. The takeaway from Arcavi’s work is that we can’t yet eliminate any models for the GW170817 kilonova’s early blue emission — we simply don’t have enough data. Why not? It turns out we had some bad luck with GW170817: a glitch in one of the detectors slowed down localization of the source, preventing earlier discovery of the kilonova. The net result was that the electromagnetic signal of this merger was only found 11 hours after the gravitational waves were detected — and the ultraviolet signal was detected 4 hours after that, when the kilonova light curves are already decaying. If we had ultraviolet observations that tracked the earlier, rising emission, Arcavi argues, we would be able to differentiate between the different emission models for the kilonova. 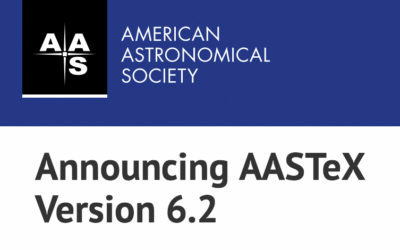 So while this may be the best we can do with GW170817, we can hope that with the next merger we’ll have a full set of early observations — allowing us to better understand where its emission comes from. Pingback: why did the neutron star merger, GW170817, sing the blues?